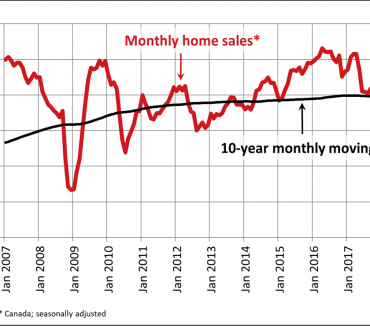 Ottawa, ON, April 18, 2017 – According to statistics released today by The Canadian Real Estate Association (CREA), national home sales were up on a month-over-month basis in March 2017. 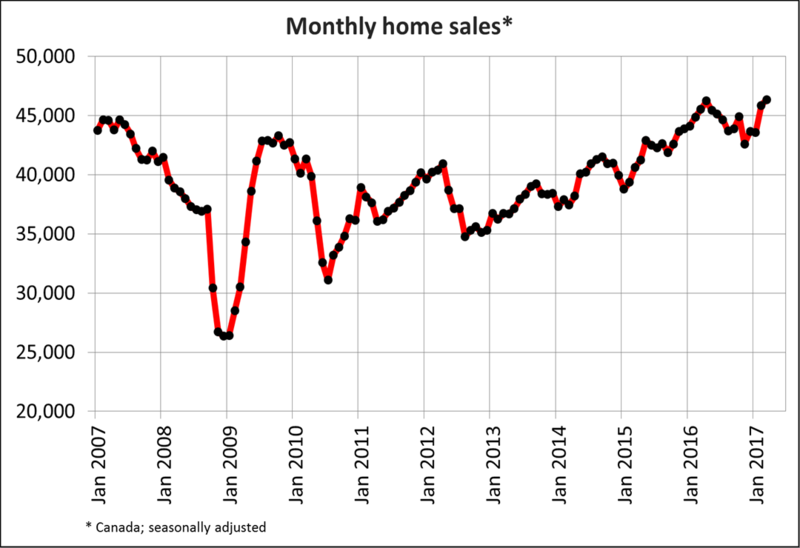 National home sales rose 1.1% from February to March. Actual (not seasonally adjusted) activity in March was up 6.6% from a year earlier. The number of newly listed homes climbed 2.5% from February to March. 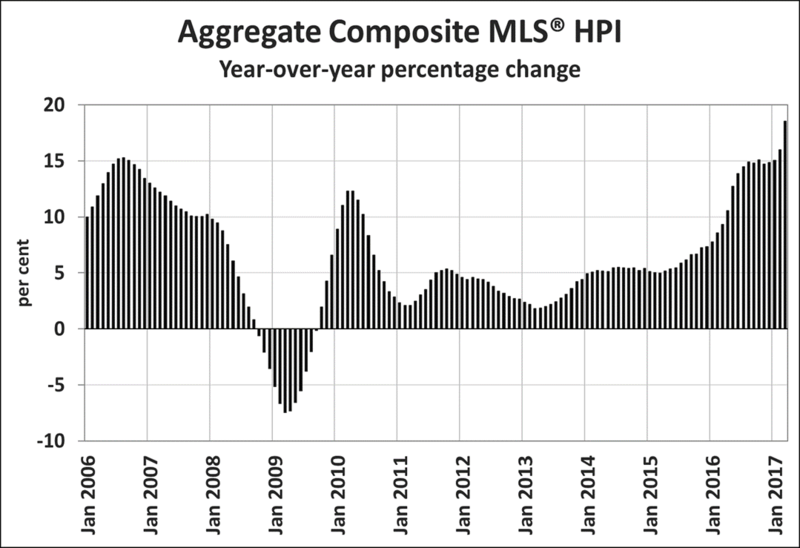 The MLS® Home Price Index (HPI) was up 18.6% year-over-year (y-o-y) in March 2017. The national average sale price increased by 8.2% y-o-y in March. 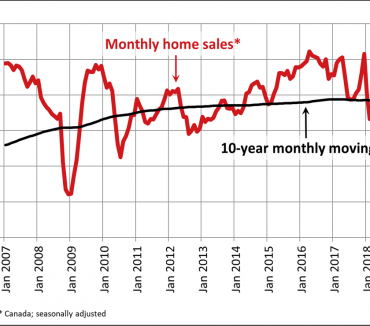 Home sales over Canadian MLS® Systems edged up 1.1% in March 2017, surpassing the previous monthly record set in April 2016 by one-quarter of a percent. March sales were up from the previous month in more than half of all local markets, led by the Lower Mainland of British Columbia, London & St. Thomas and Montreal. Actual (not seasonally adjusted) activity in March was up 6.6% year-over-year, with gains in close to 75% of all local markets. Sales in the Greater Toronto Area (GTA) posted the biggest increase, which offset a decline in the number of homes changing hands in Greater Vancouver. The number of newly listed homes rose 2.5% in March 2017, led by gains in the GTA, Calgary, Edmonton and the Lower Mainland of British Columbia. 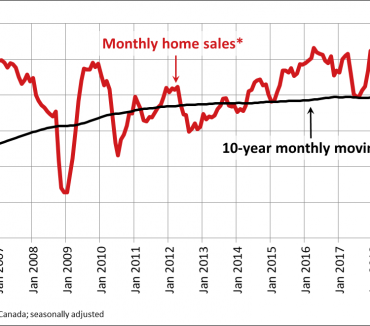 With new listings having climbed by more than sales, the national sales-to-new listings ratio eased to 67.4% in March compared to 68.3% in February. A sales-to-new listings ratio between 40 and 60 is generally consistent with balanced housing market conditions, with readings below and above this range indicating buyers’ and sellers’ markets respectively. The ratio was above the sellers’ market threshold in about 60% of all local housing markets in March, the majority of which are located in British Columbia, in and around the GTA and across southwestern Ontario. 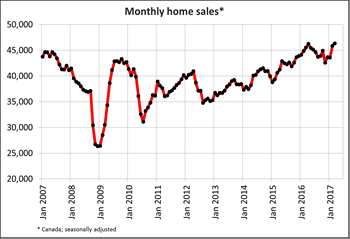 The number of months of inventory is another important measure of the balance between housing supply and demand. It represents how long it would take to completely liquidate current inventories at the current rate of sales activity. 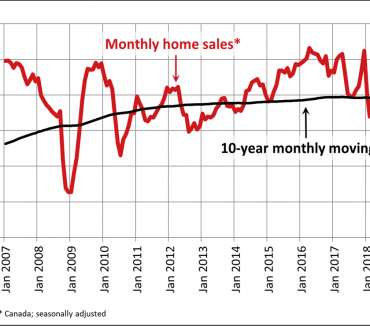 There were 4.1 months of inventory on a national basis at the end of March 2017, down from 4.2 months in February and the lowest level for this measure in almost a decade. The number of months of inventory in March 2017 stood at or below one month in the GTA, Hamilton-Burlington, Oakville-Milton, Kitchener-Waterloo, Cambridge, Brantford, Guelph, Barrie & District, parts of the Niagara Region and parts of cottage country. The Aggregate Composite MLS® HPI rose by 18.6% y-o-y in March 2017. Price gains accelerated for all benchmark housing categories tracked by the index. Prices for two-storey single family homes posted the strongest year-over-year gains (+21%), followed closely by townhouse/row units (+17.9%), one-storey single family homes (16.6%) and apartment units (16.3%). While benchmark home prices were up from year-ago levels in 11 of 13 housing markets tracked by the MLS® HPI, price trends continued to vary widely by location. In the Fraser Valley and Greater Vancouver, prices have been recovering in recent months after having dipped in the second half of last year. On a year-over-year basis, home prices in the Fraser Valley and Greater Vancouver remain well above year-ago levels (+19.4% y-o-y and +12.7% y-o-y respectively). Meanwhile, y-o-y benchmark price increases were in the 20% range in Victoria and elsewhere on Vancouver Island. Guelph recorded a similar price gain, while Greater Toronto and Oakville-Milton saw prices rise in the 30% range in March. By comparison, home prices eased by 1.2% y-o-y in Calgary and by 1.5% y-o-y in Saskatoon. Prices in these two markets now stand 5.4% and 5.1% below their respective peaks reached in 2015. Home prices were up modestly from year-ago levels in Regina (+1.7%), Ottawa (+4%), Greater Montreal (+3.3% y-o-y) and Greater Moncton (+4.7%). Year-over-year price gains were led by different benchmark housing categories in each of these markets. In Regina, apartments posted the biggest price increase, which snapped a long series of price declines for apartments that began in early 2015. In Ottawa, prices rose most for one-storey single family homes. In Montreal, two-storey single family home prices posted the biggest gain; meanwhile in Moncton, it was townhouse/row unit prices that climbed the most. The MLS® Home Price Index (MLS® HPI) provides the best way of gauging price trends because average price trends are prone to being strongly distorted by changes in the mix of sales activity from one month to the next. The actual (not seasonally adjusted) national average price for homes sold in March 2017 was $548,517, up 8.2% from where it stood one year earlier. The national average price continues to be pulled upward by sales activity in Greater Vancouver and Greater Toronto, which remain two of Canada’s tightest, most active and expensive housing markets. Greater Vancouver’s share of national sales activity has diminished considerably over the past year, giving it less upward influence on the national average price. Even so, the average price is reduced by more than $150,000 to $389,726 if Greater Vancouver and Greater Toronto sales are excluded from calculations. PLEASE NOTE: The information contained in this news release combines both major market and national sales information from MLS® Systems from the previous month. CREA cautions that average price information can be useful in establishing trends over time, but does not indicate actual prices in centres comprised of widely divergent neighbourhoods or account for price differential between geographic areas. Statistical information contained in this report includes all housing types. MLS® Systems are co-operative marketing systems used only by Canada’s real estate Boards to ensure maximum exposure of properties listed for sale. The Canadian Real Estate Association (CREA) is one of Canada’s largest single-industry trade associations, representing more than 120,000 REALTORS® working through some 90 real estate Boards and Associations. Further information can be found at http://crea.ca/statistics.